If you love to embrace colour in the home or are looking for inspiration to add more pops of colour, you’re going to love today’s home tour. 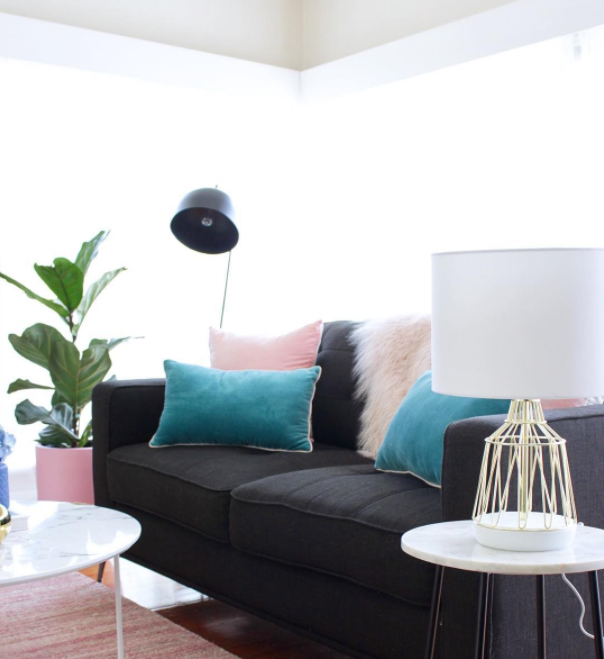 Kirra Bell is a Melbourne based interior and product stylist (and blogger over at KB Styling) who is far from shy when it comes to colour. 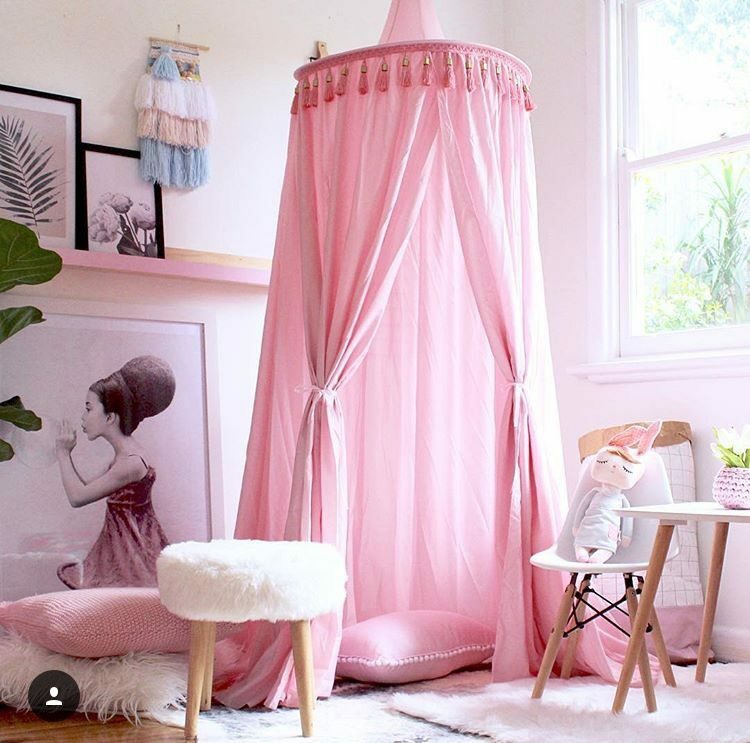 She says she loves the way pink makes her feel “it’s such a fresh and feminine colour” and this is the predominant colour she uses throughout her home. We couldn’t think of a more appropriate tour to take on this International Women’s Day — ENJOY! 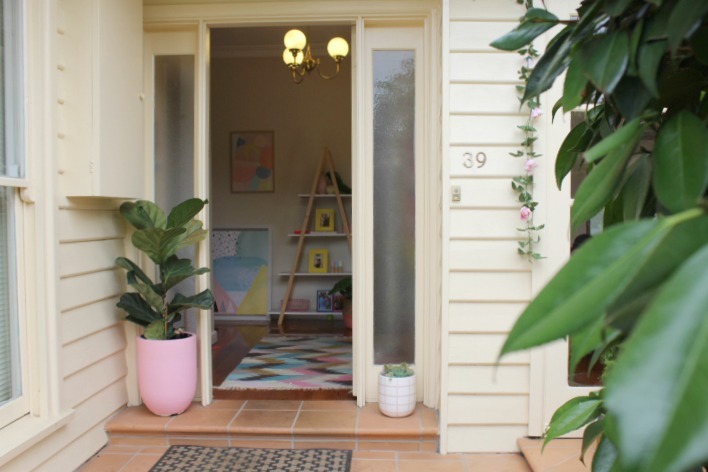 “Our home is a 1950s character-filled 3 bedroom weatherboard in Surrey Hills, Melbourne. We instantly fell in love with the charm and elevated outlook over the treetops,” says Kirra. 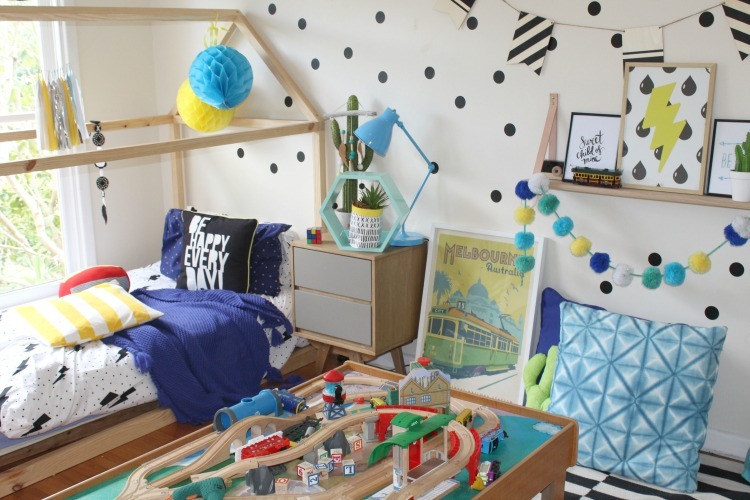 “I designed our home based on how I want those rooms to feel. I’m naturally drawn to colour. I love the way they make me feel and the impact they can have on a space. A lovely Insta lady has nicknamed my house the ‘The Happy House”. It really is full of colour! “The living room is without a doubt my favourite room in the house. I love the floor-to-ceiling windows all the way around, with treetop views and french doors leading out to our front deck. In Summer we have the doors openly constantly and it really extends the space and creates a great indoor/outdoor lifestyle. Like most people who’s homes we visit, Kirra finds inspiration all around. 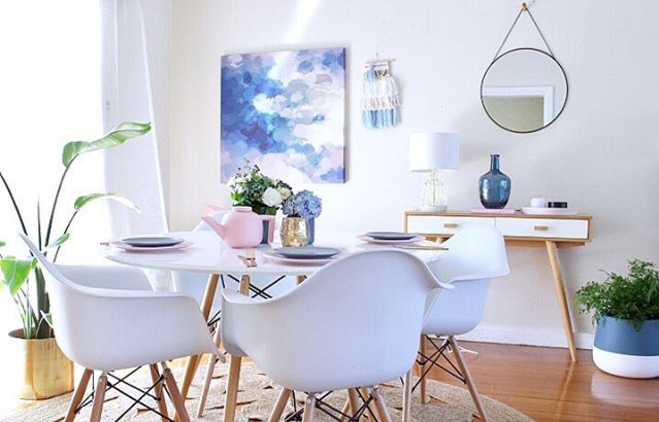 “I’m inspired by all the things around me — art, flowers, cafe fit outs and of course Instagram! “I often change the colour palette in my home — usually influenced by new artwork or even cushions. And while Kirra has totally transformed their home to reflect her personal style, she says there are still things she’d like to change. “We call our kitchen the workhorse. It’s a 1950s blue kitchen and while it’s functional, it’s not pretty! Kirra wasn’t always a stylist though. Before having children (who are now 2 and 5 years old), she worked in a corporate job. “When I became a stay at home mum, I was able to reassess what I was really passionate about. 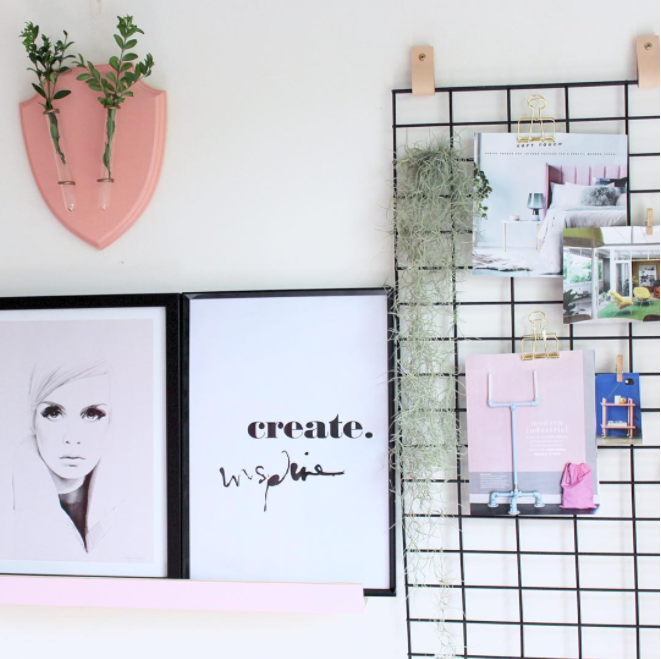 That passions turned out to be styling, photography and all things interiors,” explains Kirra. 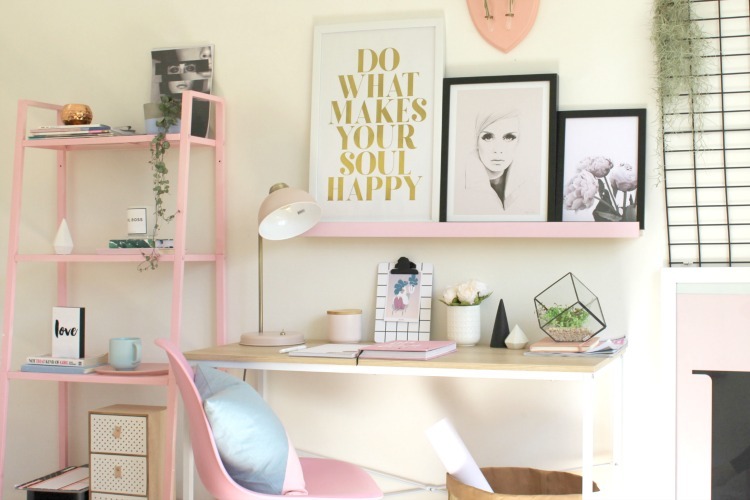 And so she made a career shift and started her interior and product styling business, as well as becoming the Homewares Editor for I Heart Bargains and her own blog KB Styling. 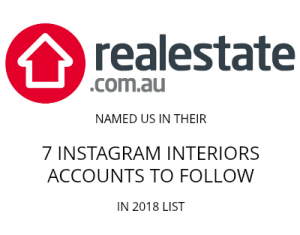 And so Kirra started her beautiful Instagram account where she shares the latest colourful homewares and decorating ideas — with a focus on affordable styling. 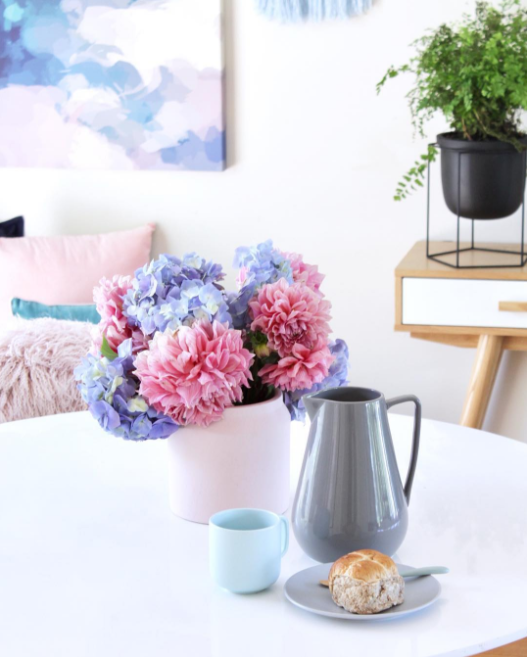 You can connect with her on Instagram here or check out her blog for loads of interiors inspiration! Thanks Kirra for letting us share your beautiful home.